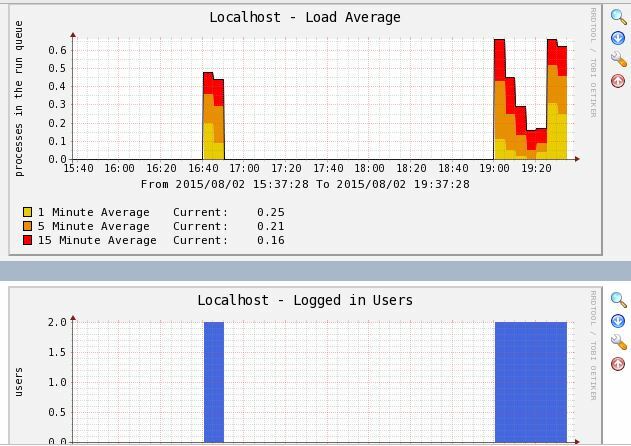 August 2015 – What I Learned Today – Linux/Database Tutorial Blog! As I had mentioned in the last post, Zabbix depends on SNMP(Server Network Monitoring Protocol). So, we need to install net-snmpd package on all the client nodes. Also, configure it to run at server boot-up. Now we need to install Zabbix & its agent packages. These are available from Zabbix official website as RPM files. 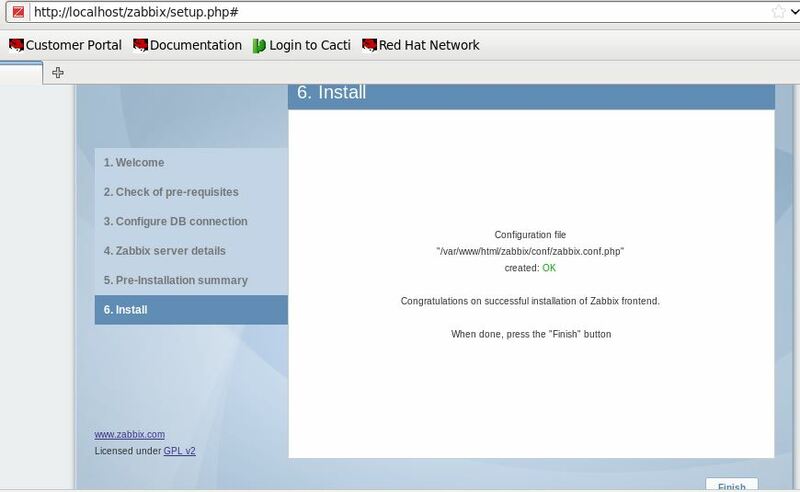 Just make sure to install the same version as Zabbix server. In this tutorial, I have used version 2.4.5. 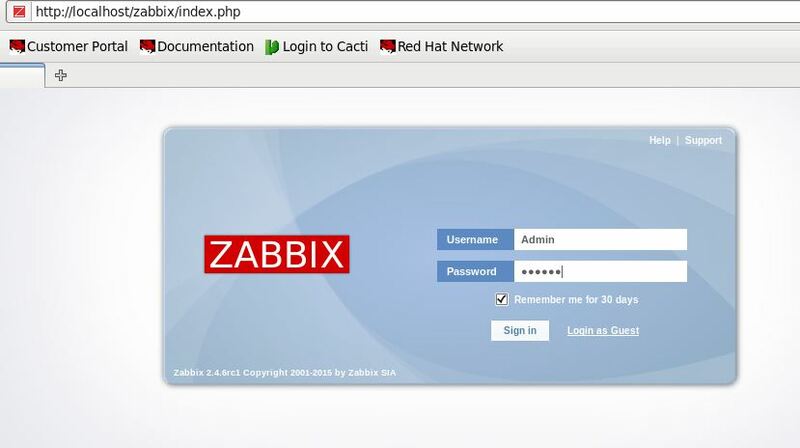 Log-on to your Zabbix server & open the browser. Now open localhost/zabbix. Now click Configuration tab & then click Hosts. By default, your Zabbix server will be listed here. If you want to edit/enable your server, click its link. Leave the options as default, just check the Enabled check-box. Next tab is Templates. Here we can define what we want to monitor. Add the templates from the list. Not all templates are applicable to your server. Choose Template App Zabbix Server, Template App Zabbix Agent & Template OS Linux to get started. Of course, you may choose any template that you want. Feel free to experiment 😉 Once you are done, click Update to save the changes. To configure clients, go back to the home-page. Click Configuration tab & then click Hosts link. Then click Create host link to add your node to be monitored. Just make sure to enter the IP address of the node. Rest of the configuration is just the same. Do it for all the nodes you wish to monitor. In my previous 2 posts, I had shown you how to setup Cacti monitoring server & configure it to monitor Linux client machines. 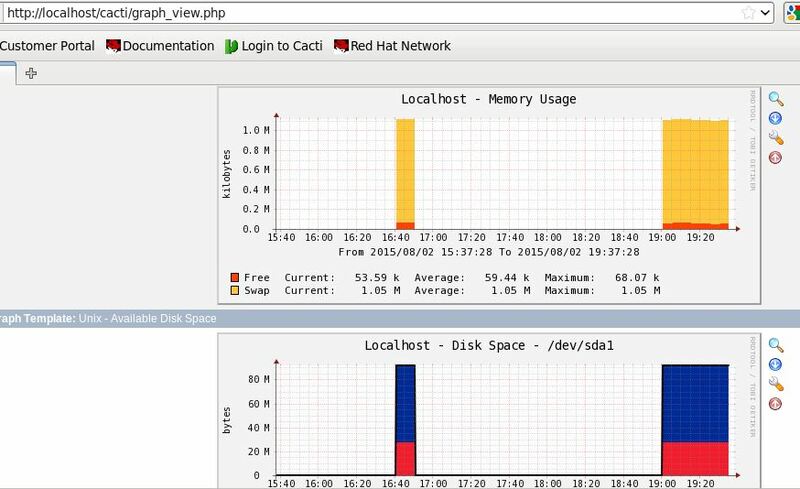 In this post, I will explain to you how to install & setup Zabbix monitoring server on Linux. This post will be 1st half of this series. In 2nd post, I will explain how to configure Zabbix server & agents(clients). Zabbix is an agent-based(Zabbix agent is to be installed on all nodes that we wish to monitor) server Monitoring & alerting tool available for a variety of OS. Unlike Cacti, Zabbix can also notify you of incidents/errors through Email, SMS & Jabber. You can customize when would you like to receive alerts. And of course, you would need a mail server to receive alert emails. Much like Cacti, Zabbix is also PHP-Apache-MySQl based application & plots graphs using the data stored in its MySQL database. I am listing a few pre-required packages below. If there is something missing, then Zabbix will show that at the time of Zabbix front-end installation. Make sure all components are installed for PHP & MySQL. Start the respective services & make sure to enable them to start at boot-up. Create the zabbix group & user. Issue below commands to get this done. Download it from Zabbix official website. This tutorial explains installing using source code. So, download the source tarball & copy it to any location of your choice. Now unpack it. In my setup, its /shashank/zabbix. Then go inside the unpacked directory. Create Zabbix database & its database user. Time to setup database for Zabbix. For this, log in to MySQL as root & issue below queries. Let’s populate Zabbix database with pre-defined SQL scripts. Exit from MySQL prompt & issue below commands on the shell. A note about Zabbix agent : – Zabbix agent is a package/service that is used to send data to Zabbix server. If we need Zabbix server to monitor itself, the agent needs to be enabled on the server as well(that’s why I enabled it while configuring). 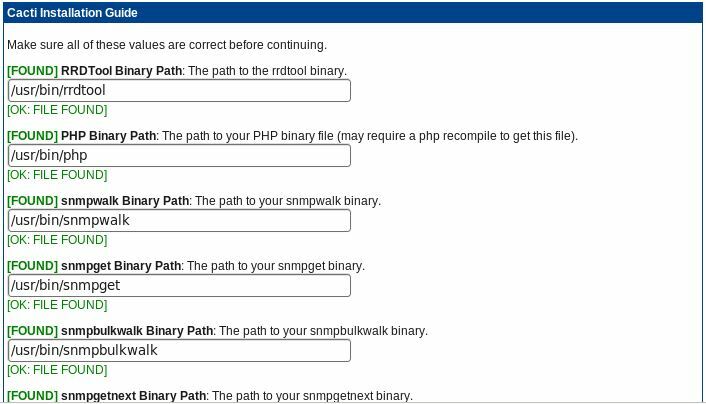 Copy PHP scripts to Apache Document Root. 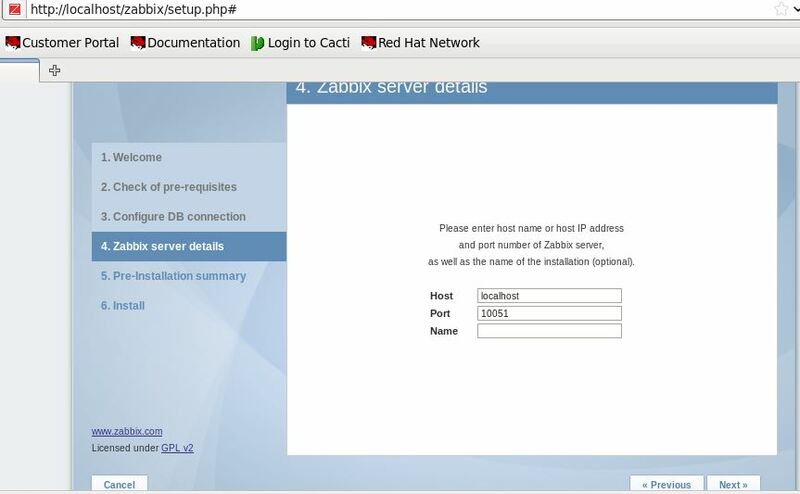 Create zabbix directory in your Apache’s Document Root & then copy Zabbix PHP scripts to it. For some reason, I needed to edit 2 configuration files for both server & agent. One, where Zabbix was unpacked & two, where Zabbix was installed(usr/local/etc). So edit these 2 files with required information. zabbix_server.conf holds database information. Most of the values are commented out. Just uncomment the DBPassword line & enter the password. The values mentioned here will be used while installing Zabbix front-end. zabbix_agentd.conf file defines the hostname/IP address of Zabbix server to be used. In our example, currently, Zabbix server is monitoring itself. So, mention the hostname & IP address of Zabbix server here. Below are the contents of my conf files. Start Zabbix server & its agent. Just issue zabbix_server & zabbix_agentd commands to start it. 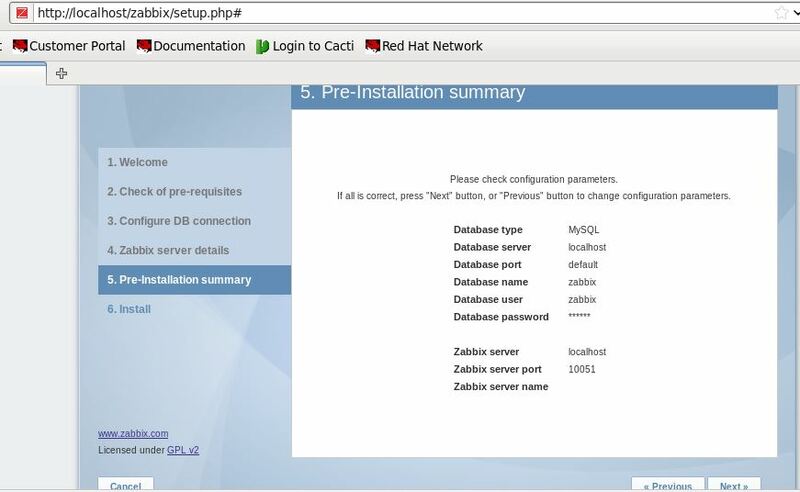 Follow below instructions to install Zabbix front-end. Disable your SELinux by issuing setenforce 0 command. 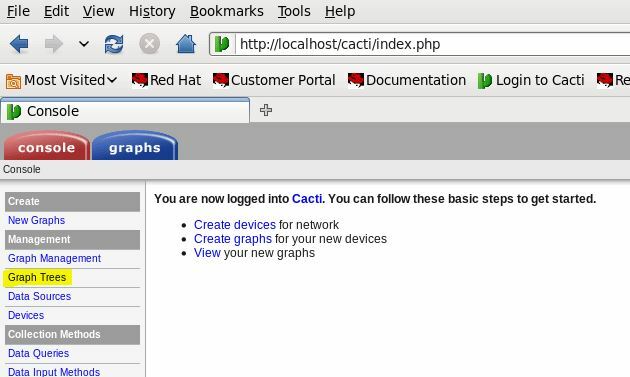 Then, point your browser to localhost/zabbix. You will see below screen. Click Next now. 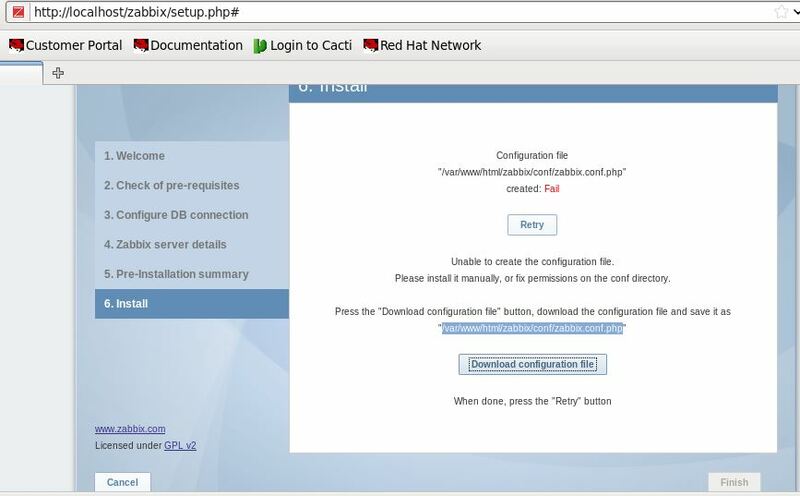 At this step, you will most probably see errors (Fail in red) on the installation screen. Some of these errors is due to incorrect settings in /etc/php.ini file. Just click the error links to find out what to modify & then edit/etc/php.ini file to fix the issues. For some reasons, I wasn’t able to setup Zabbix correctly using IST timezone in/etc/php.ini. So, I set date.timezone = GMT. Other errors are due to missing PHP modules. If you see gd, bcmath, xmlreader/writer/ mbstring errors, then install bcmath & mbstring rpm packages. I have downloaded these packages from the internet. They were not found in my YUM repository. Make sure to choose/search for rpm files relevant to your PHP version. In my case, it was PHP 5.3.3-3.el6_1.3. xmlreader/writer modules are available as YUM packages. Just do a yum install php-xml.x86_64 -y & yum install php-gd.x86_64 -y. Make sure to use the same details as in zabbix_agentd.conf file for the database. If it says Fail, Download the configuration file & place it at the location mentioned. That’s all for this post 🙂 Zabbix is up & running fine. In the next post of this tutorial, I will explain how to configure Zabbix agent to start monitoring Linux client nodes. 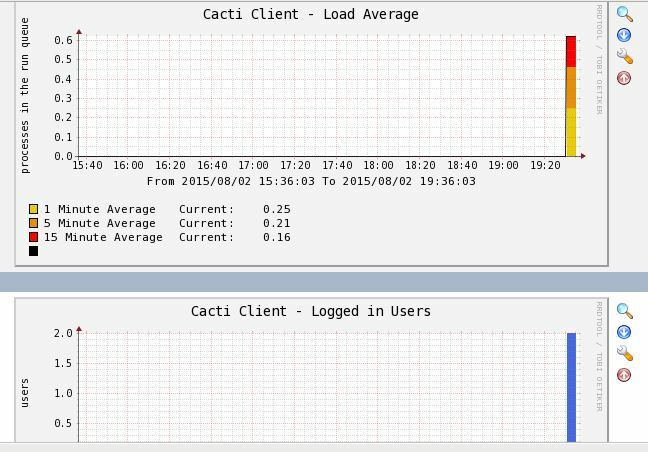 In my last post, I showed you how to install & setup Cacti Monitoring server on RHEL/CentOS. Here I will demonstrate how we can configure Cacti clients that will be monitored centrally through Cacti server. First of all, as I mentioned in last post, install net-snmp package on all the nodes that you want to monitor by issuing yum install net-snmp command. Then, start snmpd service by executing service snmpd service. Make sure to execute chkconfig snmpd on so that the service starts at boot time. One point worth noting is that if you have nodes in different zones, then you will need to open UDP port 23 (change it in accordance to your setup, that I will describe in a while) from firewall, if it is present. Lets now edit the /etc/snmp/snmpd.conf file on Cacti Server to allow clients to talk to Cacti. Backup the existing file, nullify it & paste below contents in the file. IP address is of our Cacti Server itself. 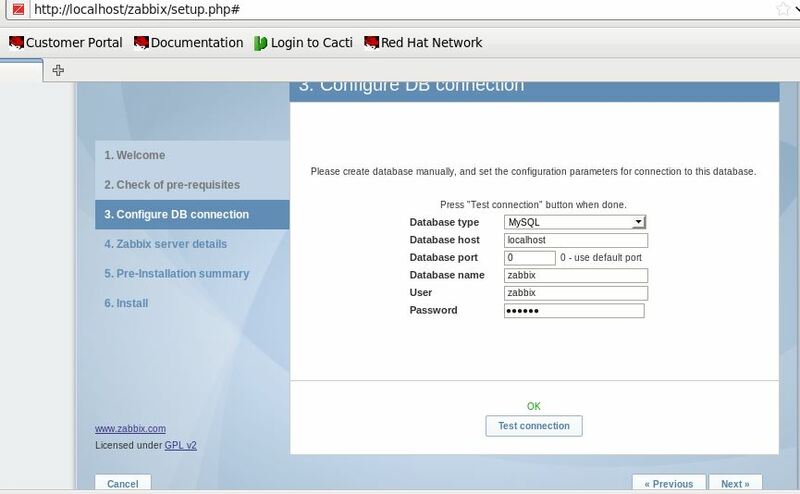 cacti_snmp is community name that is used in case we choose SNMP version other than Not in Use. This has been explained later in this post. You can include the whole network by using network subnet. Now that snmpd package has been installed & configuration file has been edited, lets come back to Cacti server & launch its web front-end by pointing browser to localhost/cacti. Then follow below instructions to configure clients. Click Devices on left side of screen. Then click Add. Now fill in the details of your client node. Enter IP address or FQDN in second field. In third field, choose Local Linux Machine from drop-down list. Choose Not in Use as SNMP version. Leave other fields as default. Click Save. Go back to homepage & click Devices to see the newly added device. It must show Up as status. If its down or unknown, then make sure your node is up, snmpd is running & is accessible through Cacti server (ping it to check). After confirming the Up status, Click the node you want to create graphs for. Then click Create Graphs for this Host link. Then choose the graphs you want to be shown by selecting from the drop-down list. Then click Create. By default, we only see graphs for localhost. So, in order to see graphs for all the nodes, we need to add them to the Graph Tree. For this, go back to homepage & click Graph Trees. Then click the Default Tree link & then click Add. Select Host as Tree Item Type from drop-down list. Click Create. 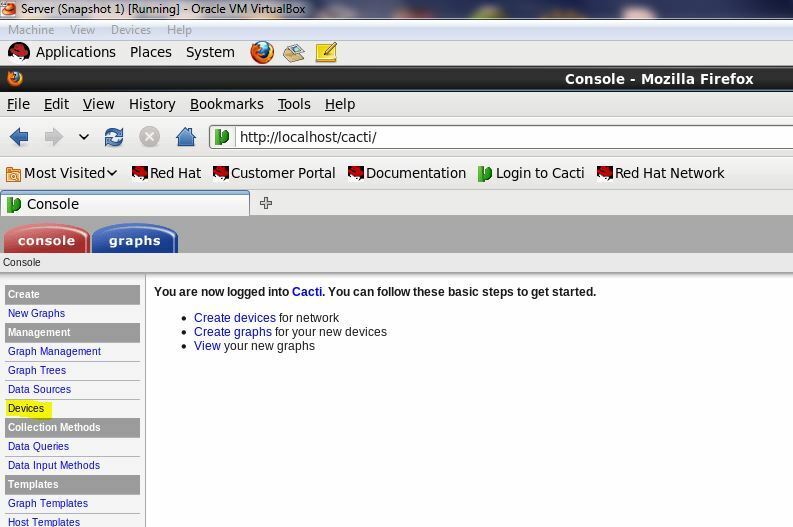 Today I will explain you how to install & setup Cacti Monitoring server on an RHEL/CentOS machine. 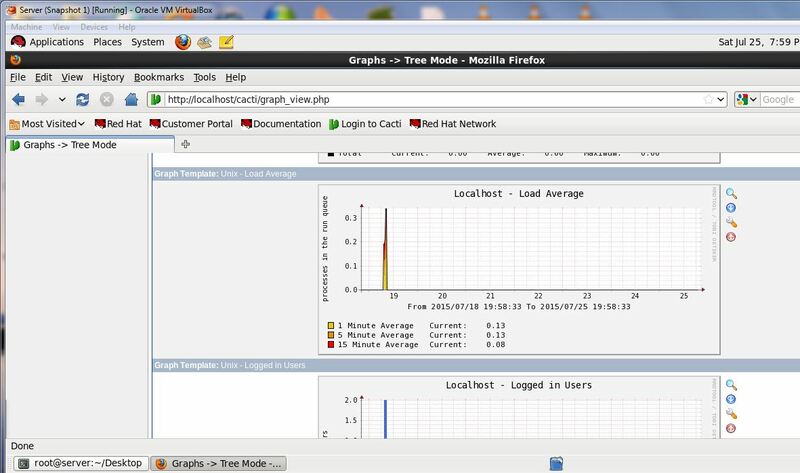 Cacti is an agent-less, open-source Apache-PHP-MySQL webserver based monitoring application. 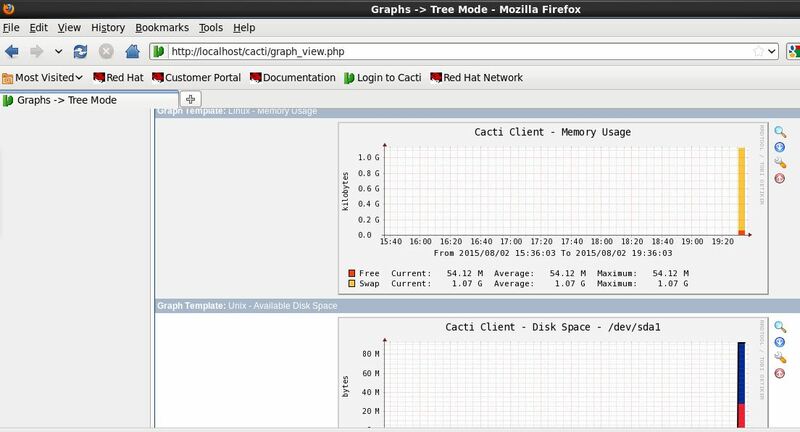 You can use Cacti to monitor performance of your Linux servers from a single location i.e. Cacti Server. It shows the data in the form of graphs for various performance parameters like CPU usage, RAM, Disk Space utilization, Number of processes, Ping statistics & many others. 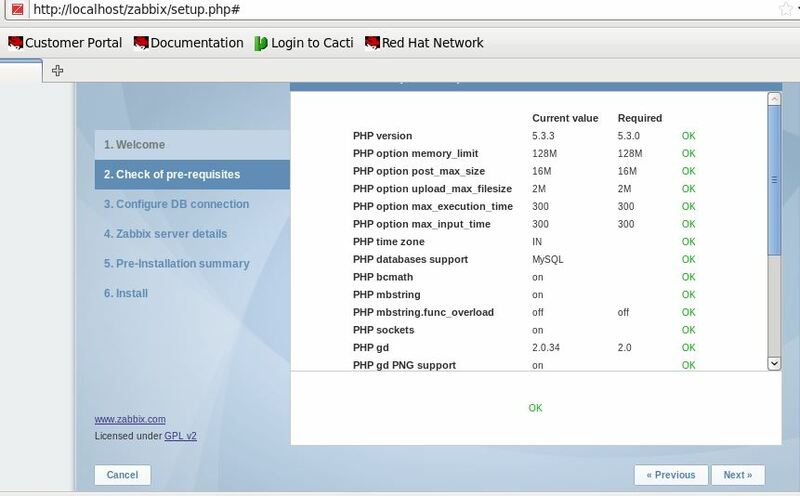 Cacti consists of PHP scripts that pull data from servers being monitored & store in its MySQL database. Then these PHP scripts plot the graphs using that data. Install required software. Since Cacti depends on a lot of software, lets list down all the packages that need to be installed first. We need to install below mentioned packages. Create cacti user. 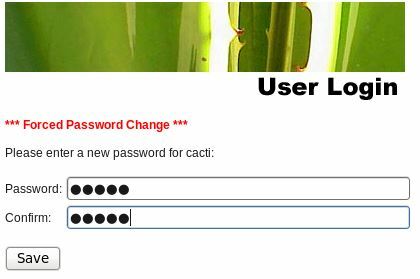 Create cacti user & assign its password. I have already created it. Download & Install Cacti from its official site. Cacti tarball consists of PHP & MySQL scripts. Just unpack it to your Apache’s Document Root (by default, its /var/www/html). You may wish to rename cacti directory as it consists of version number in its name. Install Apache first, if not already installed. Change ownership to cactiuser for this directory. Setup MySQL Database. As we know Cacti fetches data from servers & stores in MySQL database, we need to create a database for Cacti here. Install MySQL if its not installed & start mysqld service. Now we will need to create a user for Cacti database & grant it privileges. Now that Cacti database user is ready, lets execute a few MySQL scripts to build up the database. Below command imports the database objects from cacti.sql script to cacti database. Now edit the file /var/www/html/cacti/include/config.php to update the database details as below. Cacti is ready to fetch data & store it. But we need to setup the polling interval first. Setup polling interval. Polling means the time after which Cacti will pull data to be graphed. As you would have guessed it, we need to setup a cron job for this. We will do it in cactiuser’s cron because for some reason, I was not able to run Cacti cron job with root user. Below is the syntax of this cron. If everything is done properly, we can now install Cacti web front-end (I told you, Cacti runs as a web application). You will see the installation screen like below. Just follow the instructions & go on to install it. At this point, you will be shown if all pre-required Cacti components are installed or not. if everything is installed properly, you will see it highlighted in green. If not, then make sure the pre-required packages are installed. Once the front-end is installed, it will ask you to enter the Admin password. Credentials are admin/admin. You will be forced to change it at this step. Cacti is now successfully installed 🙂 We will have to wait for some time so that poller collects the data for graphs. Click on graphs tab and you will see options to see various graphs. Since my VM doesn’t run continuously for hours or days, my graphs are not that good-looking 😉 By default, only the localhost will be monitored.